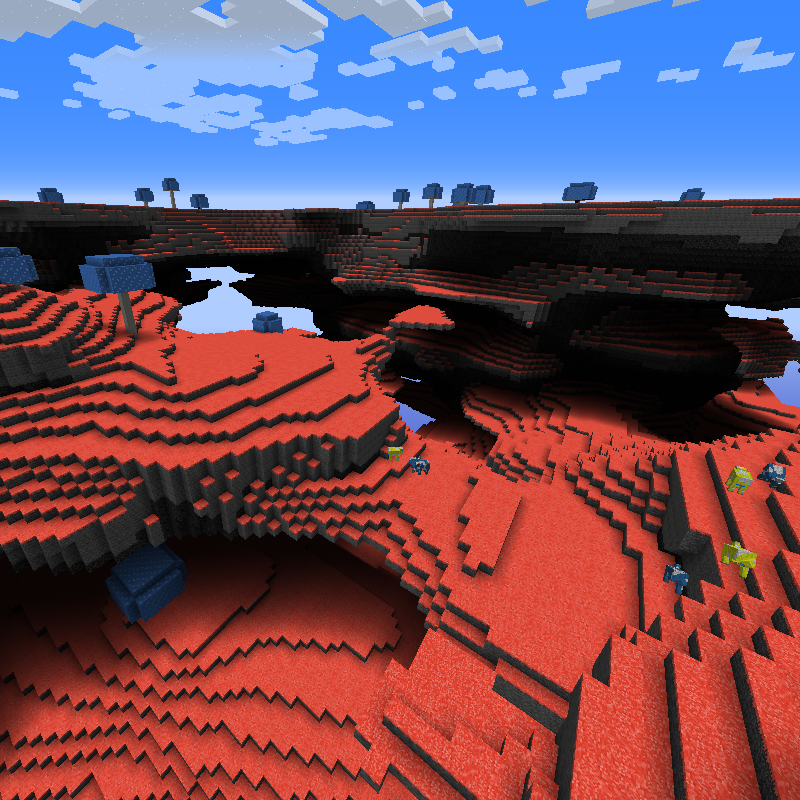 Moolands is a dimensional mod that adds new terrain as well as two new mobs. The terrain is varied across the entire world and provides a "unique" experience to the player. "You want a massive amazing world with many things to explore? Want a bunch of well developed species and intense lore? You can saddle Awful Cows, they are quite fast and jump high. There are random mushroom house structures that will spawn, purely decorative! There is a config option that will add extra foliage, it's also purely decorative, but adds a nice atmosphere. If you want to see the Moolands in your language (if it doesn't already have it), check out the translation website! hey i got that same crash djkp123 got and had to delete the mod to load up my world again. Please fix. other than that amazing mod! Alrighty! Another update will be out soon. Loving the mod my dude! Why doesn't the Strange music disk work in the Jukebox! I need to hear the Moo Song! Yeah that'll be fixed in the next update, sorry about that. The track can be found on Soundcloud however! java.lang.NullPointerException: moolands:blue_mushroom from mod Moolands returned a null ItemStack in getPickBlock(...). Please report this to them. This mod is best experienced without using a wiki beforehand. I added images with the recent update, everything else is explained in the post itself. You ported this to? I remember when Kingbdogz first showed off his little comedy dimension the first time. "Dimensions" tag again? Yeah, dimension tag again. Thanks again! When can we get custom sized portals? Alternate spawn eggs for blue and yellow mushrooms would be nice.